This is a cake we did last weekend. 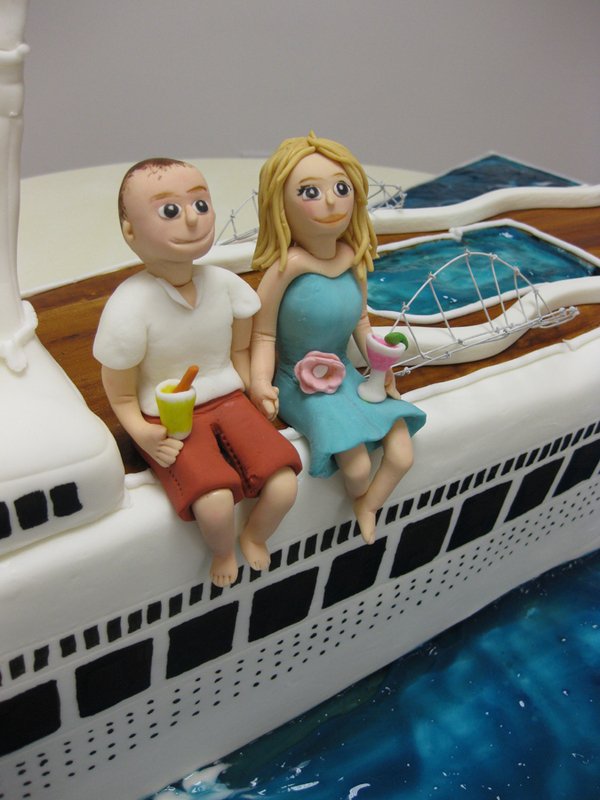 It’s for a couple who met at a cocktail party aboard a cruise ship and wanted us to create their wedding cake to celebrate this meeting. Instead of a gown and tux we dressed the couple in cruise ship appropriate casual wear, holding drinks of course. 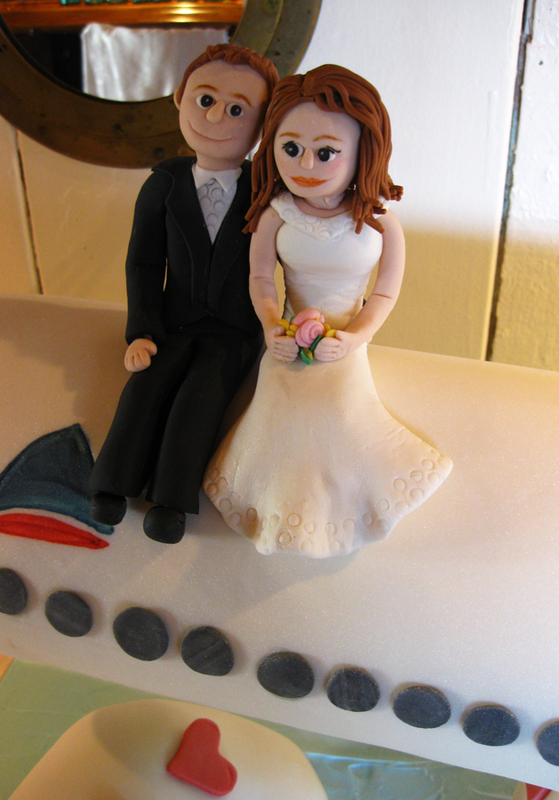 Below is a cake we created at the beginning of September for a couple who met on an airplane. They spent many hours on planes traveling between New York City and San Francisco so it was only appropriate that their wedding cake reflect just that. Even the clouds are edible! Hi Caleb! We’d love to make your cake. I’ll shoot you an email later tonight! 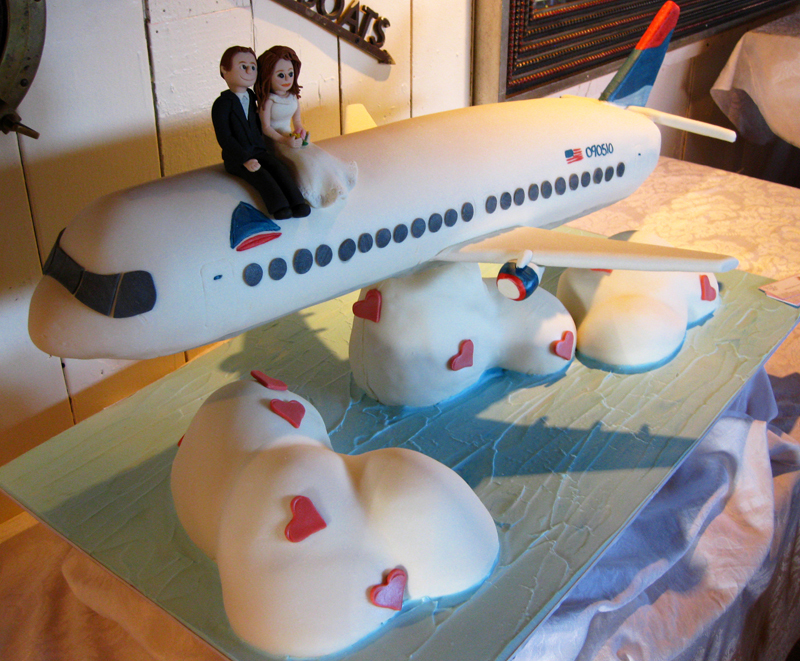 I love this airplane cake. Great job. 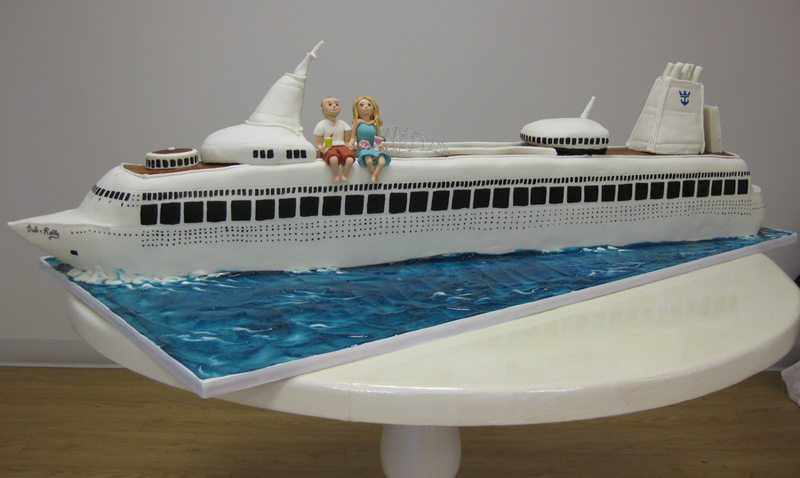 I have to decorate an airplane cake similar to this. The couple that choose this similar design. The both work for the airlines. Would you mind giving me instructions on how you did the structure of the cake? I will me using styrofoam for the body of the airplane instead of cake. I would really appreciate your help. Thank you. There is a 2×4 cut at an angle to support a mdf board that is supporting the weight of the plane. There is also mdf boards under the wings to support those as well. The base is a wooden base screwed together with the plane’s support. The exact dimesions would be difficult to communicate. You’ll have to figure those out based on how many servings you need and how big your cake gets. Thank you so much. I will let you know how it went. Have a wonderful day. Just to let you know the it turned out beautiful. Thank you for your support.